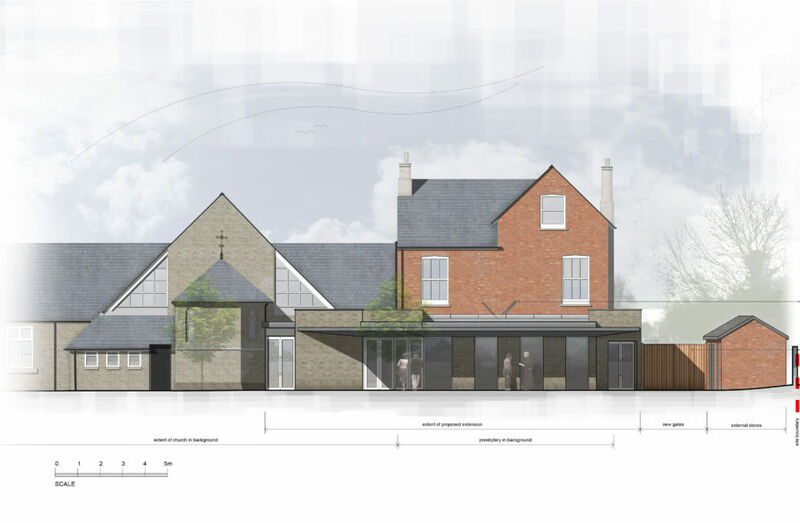 The aim was to create a small, sympathetic extension providing additional ground floor space to the rear of the presbytery, with a link to the rear of the Catholic Church, near the sanctuary. 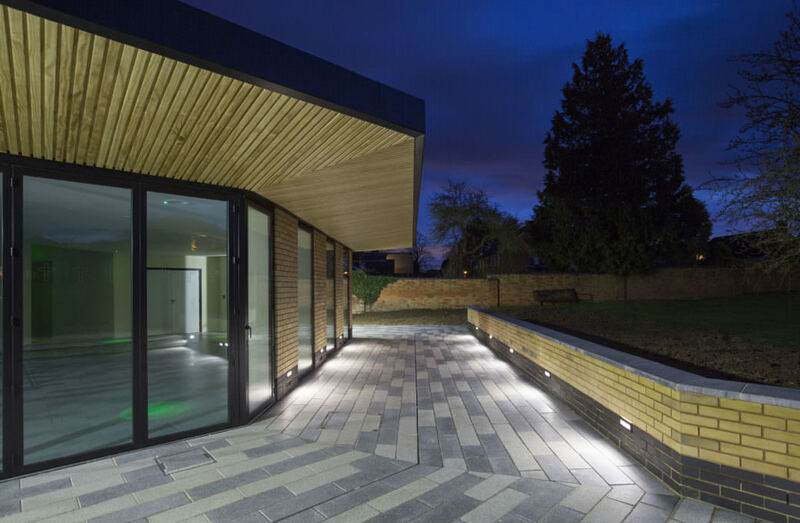 The project also provided an opportunity to rationalise the lower roofs and the areas of servicing at the rear of the buildings. The site of the Catholic Church and Presbytery in Olney lies outside of the Conservation Area, however it does fall within the historic part of the town. Our design was carefully detailed to illustrate the sympathetic nature and appropriateness of the scheme to the surrounding area. The purpose of the extension was to accommodate up to 50 people seated and up to 100 standing, including some storage and a new unisex WC for the disabled. 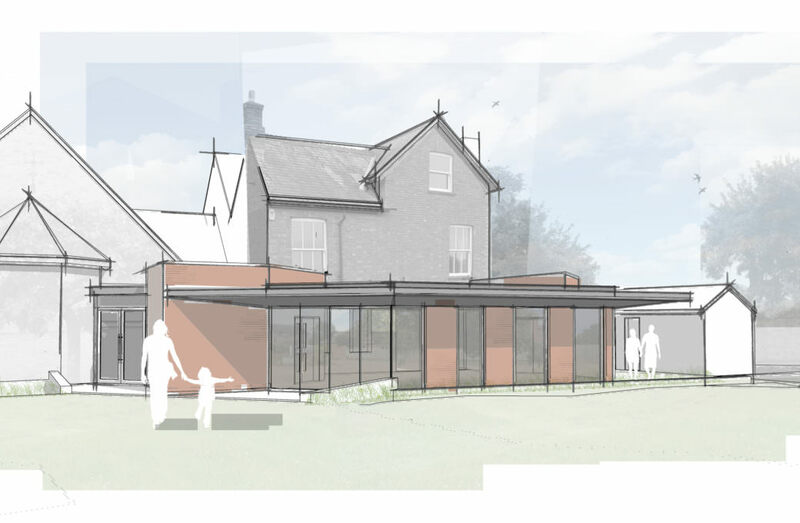 It has been arranged to provide an open space for events whilst enhancing the connection between the church and the presbytery. 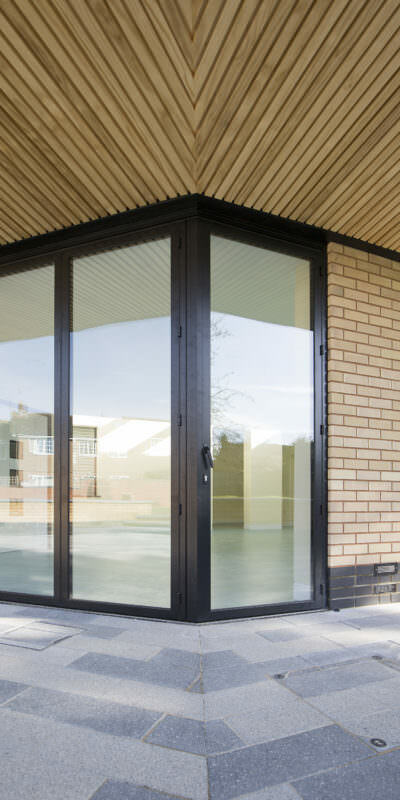 The inclusion of large areas of glazing and bi-fold doors improve the buildings’ usability and the visual and direct relationship between the buildings and the garden. Materials that relate to the existing buildings have been used, however the design does include some contemporary elements to assist in expressing the organic change in its history. 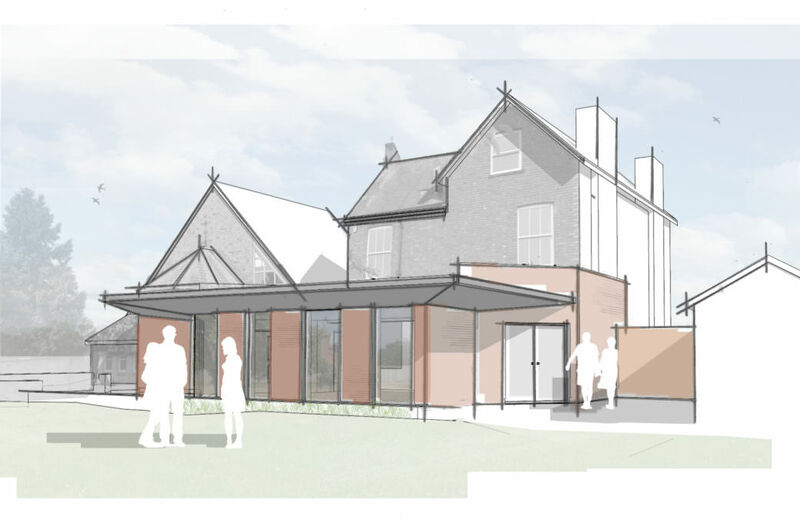 The cill of the existing openings between the existing dining room and the new building have been lowered to allow people to move between the spaces, enabling the two to be used jointly or separately. 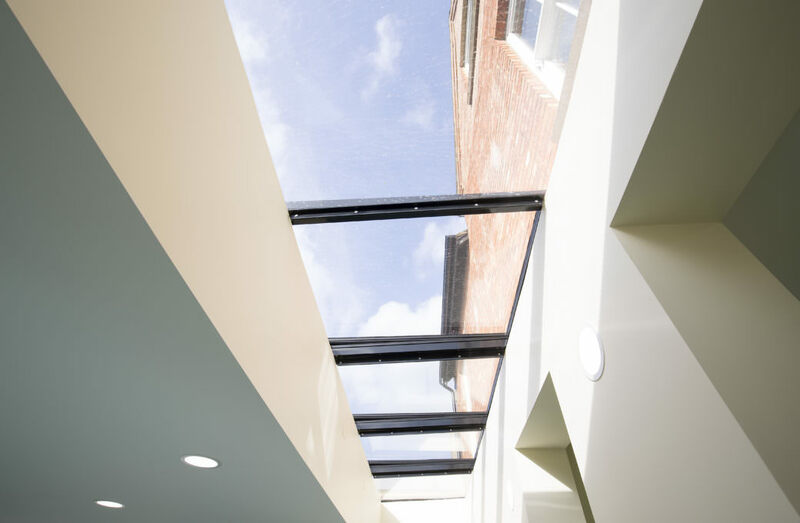 A glazed roof light has been included that runs parallel to the existing presbytery, providing a level of natural daylight into the extension and the existing kitchen and dining spaces. This glazed element also helps create a light touch relationship between the built form elements, respecting the existing building. 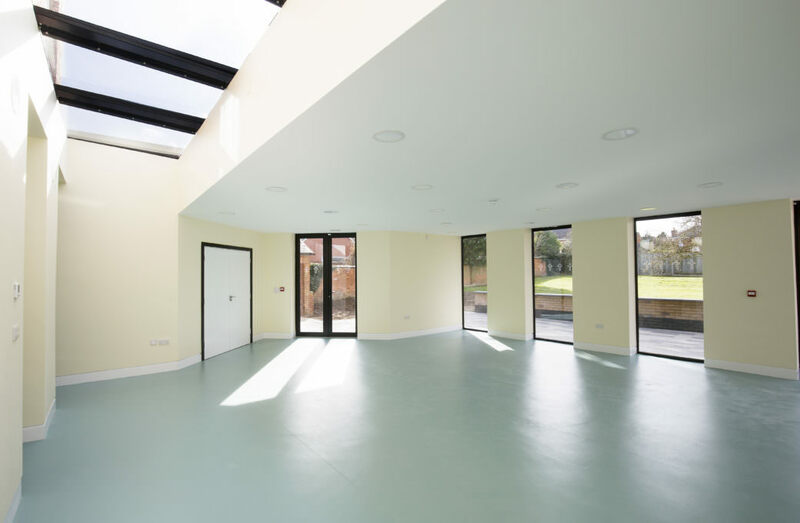 A large overhanging roof provides a controlled level of solar gain, whilst providing a covered walkway. The overall height of the building is lower than the first floor windows to the presbytery, minimising any impact on the existing buildings and creating a series of subordinate additions. The use of glazing and roof elements of varying heights assist in the visual separation between the existing and new buildings and demonstrate a hierarchy of forms to express the building’s evolution.